If you’re wondering about my lack of recent posts, it’s mostly because I’ve been busy working on something. It’s finally out. Here, have some cover art. On a distant planet the last remains of humanity take refuge. 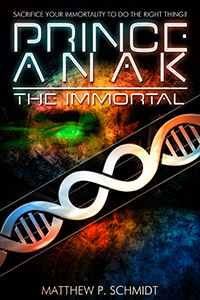 Among them is Prince Anak Og Eloi XIa11, a genetically engineered superhuman born to rule and to live forever. At the behest of his father the king, he has designed and constructed an antimatter factory to fuel warships against the implacable Foe. Yet, Anak’s brilliant mind cannot help but notice inconsistencies between his own experiences and the Immortal Family’s designs. When his mortal friend and mentor is dying, he finds he must decide between what he believes is right and what he must do to remain immortal. When he finds out the truth, will he do what is right, even at the ultimate price? 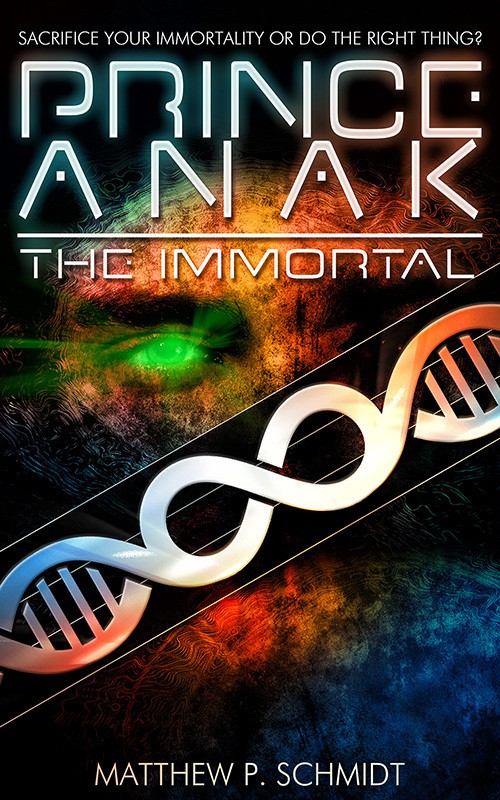 Prince Anak the Immortal is available on Amazon, B&N, Smashwords, and Kobo. Pretty soon it will be available on CreateSpace, too, but that’s still in progress.